As a Parish Catholic Primary School, St. Mary’s is committed to creating a vibrant educational community, allowing each child to achieve their full potential, imbued with the Good News of Jesus: one in which each person in our community is enabled to grow in dignity, developing a living, loving relationship with Christ and others. 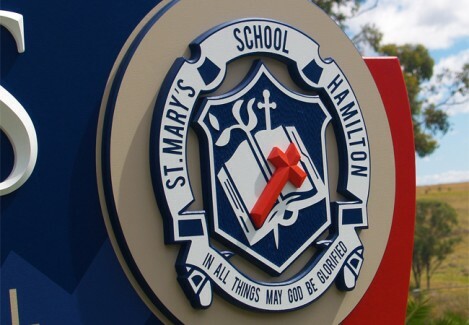 St. Mary’s is a Catholic school where young people are encouraged to develop their own unique identity in a loving and respectful atmosphere, thus creating a positive attitude to life. St. Mary’s has a proud history of offering quality education to town and country students with a range of backgrounds and abilities. For more information, visit the school website.